BILLINGS, Mont. — As former U.S. Interior Secretary Ryan Zinke exits Washington chased by ethics investigations and criticism of his actions favoring industry, he told The Associated Press he's lived up to the conservation ideals of Theodore Roosevelt and insisted the myriad allegations against him will be proven untrue. 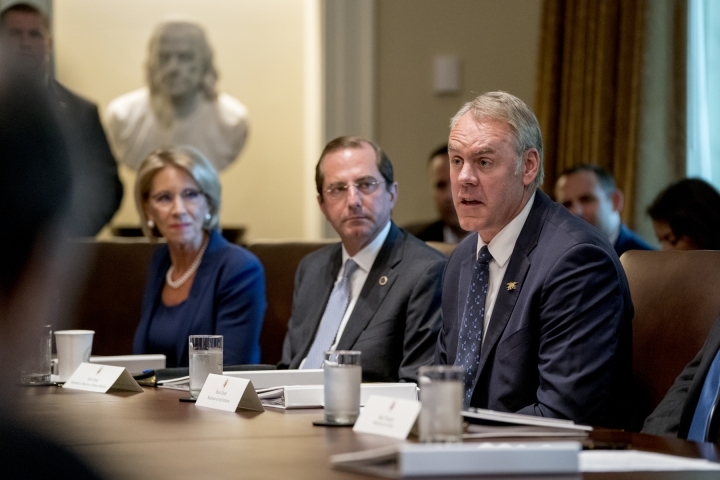 In his first interview since stepping down, Zinke said the changes he instituted meshed with Roosevelt's belief in balance between nature and industry. He added that they were needed in part to unfetter energy companies bound by unreasonable curbs on drilling that were largely imposed under former President Barack Obama. "Teddy Roosevelt said conservation is as much development as it is preservation," Zinke said, referencing a 1910 speech by the Republican president. "Much of our work returned the American conservation ethic to best science, best practices ... rather than an elitist view of non-management that lets nature take its course." Zinke mentioned Roosevelt often during his almost two-year tenure, and historian Patricia Limerick said it's accurate that the former president talked of development as a component of conservation. 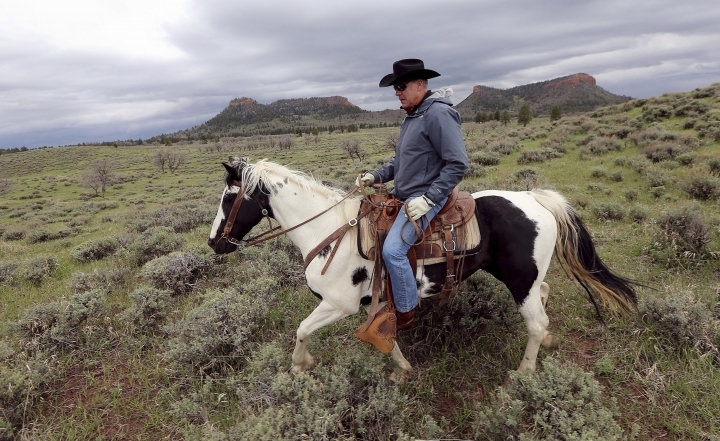 But Limerick noted Zinke's recommendations to Trump to reduce the size of national monuments in the West and elsewhere was in direct contrast to Roosevelt's embrace of the law that allowed their creation, the Antiquities Act of 1906. "You don't get to call yourself a follower of Roosevelt if you're really chiseling away at one of his principal heritages," said Limerick, who chairs the board of the Center of the American West at the University of Colorado, where she's a history professor. House Democrats plan to put Zinke's policies under the spotlight with oversight hearings beginning next month, said Adam Sarvana, a spokesman for Rep. Raul Grijalva of Arizona, the Democrat in line to lead the House Natural Resources Committee. 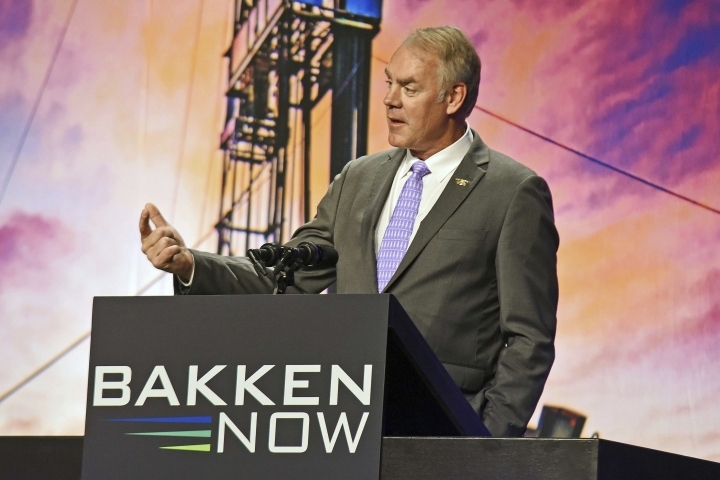 The hearings initially will focus on policy changes such as "giveaways" to the oil and gas industry under the leadership of Zinke, Sarvana said. He added they later could be expanded to include the various ethics investigations pending against Zinke, a former Navy SEAL and avowed Trump loyalist. During his interview with the AP, Zinke denied a Washington Post report that Interior Department investigators believe he may have lied to them, which has reportedly prompted an examination of potential criminal violations by the U.S. Justice Department's public integrity section. 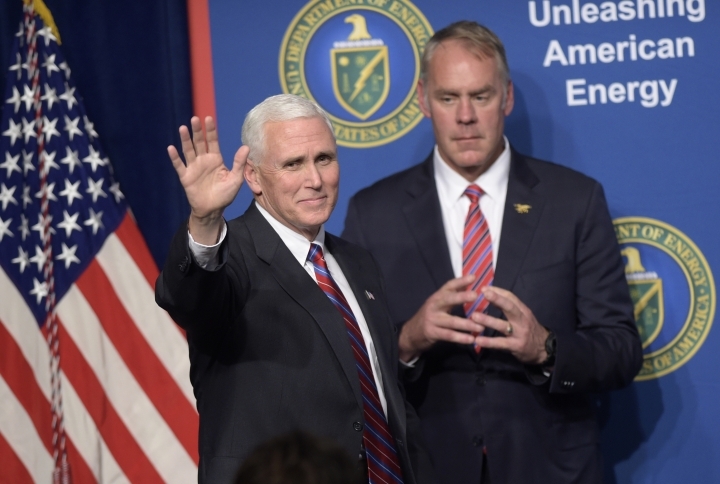 "Although Secretary Zinke was effective at what he was doing, the policy really came from the president," Naatz said. "David Bernhardt is too conflicted to serve him in any position, whether it's deputy, acting or full Interior secretary," said Aaron Weiss with the Center for Western Priorities. Weiss also suggested the pending investigations against Zinke are likely to continue and said the former secretary "can't make his trouble go away by simply walking away." Wyoming Sen. John Barrasso, who chairs the Senate Environment and Public Works Committee, said Zinke worked closely with western states and respected their priorities. Barrasso said it was important for the next secretary to likewise pursue Trump's American "energy dominance" agenda while following sound environmental practices. 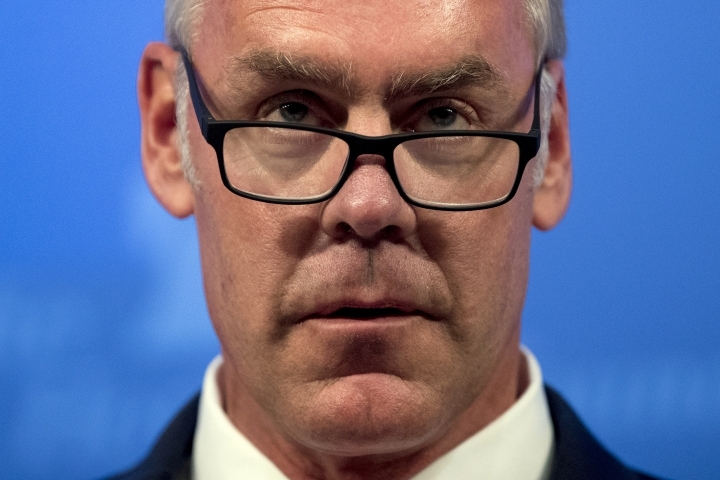 He told the AP that the allegations fit into a "playbook" used by the administration's critics to stifle Trump's energy agenda, smear Zinke's name and undercut any future bid he might make for public office. He said he won't run for Montana governor in 2020, but did not rule out a future run. His departure comes amid a partial government shutdown in which Zinke ordered many national parks to stay open, saying visitors shouldn't be penalized for the political feud centered on Trump's proposed border wall with Mexico. With reports of overflowing trash bins spurring calls for the parks to be closed until the shutdown ends, Zinke offered some parting advice as he prepared to head back to his hometown of Whitefish, Montana, just outside Glacier National Park: "I would encourage everyone that visits their parks to help pitch in, grab a trash bag and take some trash out with you," he said. "Pack it in, pack it out."